What I believe this verse to be talking about is a lifestyle, an attitude. 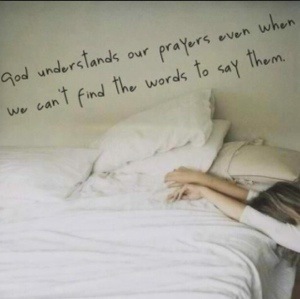 Prayer is so much more than us thanking God and then dumping a list of requests at his feet. This attitude is relational. Praying without ceasing is letting God into your day. It’s including Him, throughout the day, thinking of Him, thanking Him, meditating on His promises, asking for His help, and worshiping Him. Pastor Matt Chandler has a wonderful take on this. He talks about the rhythm of our day, this ebb and flow of communication that should be happening. Pulling aside time to spend in prayer and in God’s Word are integral but so are what he calls the “rifle shot prayers.” These are the prayers we throw heavenward during the day. This is when you say, “Hey God, this is it. I prayed about this earlier. I really need you to be with me now as I face this co-worker, this trial, this temptation, you fill in the blank.” I would venture to guess that most of do better with the “rifle-shot” requests than recognizing and offering thanks for the blessings, both those big and small throughout the day. It’s this constant flow of communication, carrying God with you throughout your day. Both forms are necessary for the vibrancy of your relationship. One type feeds the other. Today, make a concerted effort to pray without ceasing. Invite God into your day. Listen to the Holy Spirit’s prompting to pray and know that God is with you and for you. And if you don’t do so well? It’s ok, tomorrow is a new day. Today marks the beginning of the week I have been waiting for, praying for. I have been excited for this week and dreading it. I have been afraid to hope for a miracle but confident that my God is capable. So today, more than in days prior, as Friday gets ever closer, I find myself at God’s throne pleading for intervention, for rescue…for a miracle. I have been through the medical regimen, done everything the doctors have said to do, and now have come full circle back to where I began this journey, on my knees desperately crying out to God. With full confidence that while sometimes all I can do is cry out, God is intimately aware of what is in my heart. The closer Friday gets, the more imminent the answers I have been searching for, the more my prayers become nothing more than this frightened, desperate cry because, in all honesty, I am afraid of being let down. Through all of this I have learned some very important lessons, particularly in regard to prayer. 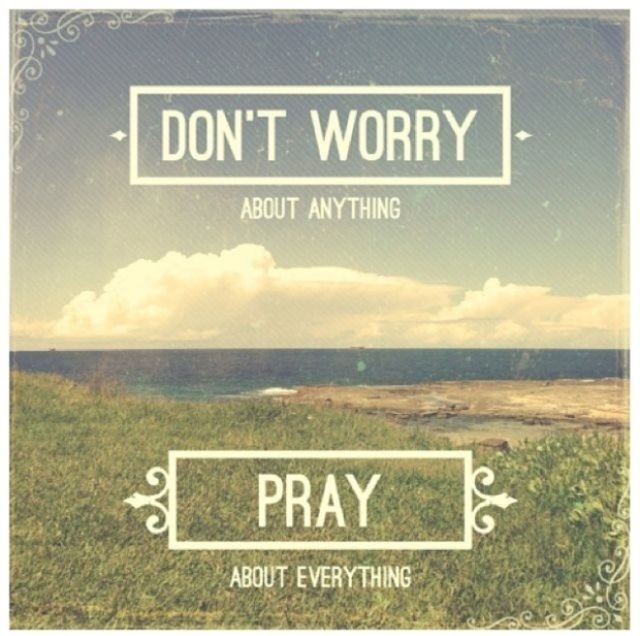 First of all, that is exactly what prayer is supposed to be…first. Through prayer God is able to encourage us, to lift us up. When was the last time that you found yourself more discouraged after spending time with God in prayer? It doesn’t happen. 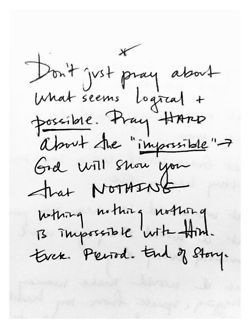 I have also learned that if your prayers aren’t impossible to you, they are insulting to God. Through answering our prayers God is able to show his power, his omnipotence, his divine intervention. When He answers, there will be no other reasonable or possible explanation to what we are experiencing. There is nothing God loves more than keeping promises, answering prayers, and performing miracles. It is who He is and what he does. I know He can, and I pray He will. I also know that He knows better than I what the path for my life needs to be and He won’t give me more than I can handle without His help. I have many times over the last weeks found myself overwhelmed and I know now that is exactly where God wants me. I read that raw dependence on God gives birth to the raw material out of which God performs His greatest miracles. Trouble, is one of God’s greatest tools because it reminds us how much we continually need the Lord. Otherwise, we tend to forget about entreating him. For some reason we want to carry on by ourselves. I have promised myself to never forget again, no matter what the outcome on Friday. I haven’t stopped praying for my “medical” miracle but I continue to rest in the knowledge that my life is in the hands of my loving Father. No matter what the next test shows, He will not leave me or forsake me, and I will try my hardest to live this story for His glory. If you find yourself crying out today, Jesus hears you and He understands your hurts. Let Him provide the healing comfort you need. Sometimes, God speaks through us and sometimes God speaks to us. Today, this video was a message for me and it struck it’s mark dead on. Don’t give up, don’t stop asking, just keep praying. I pray that it speaks to you today as well. Did you have time to pray today? Have you ever tried to pray when you are busy? I don’t mean a little busy, but the busy where you are trying to be in two places at once, bake (not burn) cookies for a school event, and not only manage, but try to actually meet, deadlines for work. On those days I can barely form a coherent thought and my brain is a hurricane of activity. So, prayer? Unfortunately, those days when I could use the peace that prayer provides the most I find it the hardest to grasp. In the 1960s Charles Hummel wrote about the “Tyranny of the Urgent” and it is a timeless piece. Don’t let the urgent take place of the important in your life. Oh, the urgent will really fight, claw, and scream for attention. It will plead for our time and even make us think we have done the right thing by calming our nerves. But the tragedy of it all is this: while you and I were putting out the fires of the urgent (an everyday affair), the important thing again was left in a holding pattern. And interestingly, the important thing is neither noisy or demanding. Unlike the urgent, it patiently and quietly waits for us to realize its importance. I have heard the acronym B-U-S-Y, Being Under Satan’s Yoke. The Urgent is Satan’s trick to distract. Satan’s ploy is to get us so caught up with the little – and not so little – details of life that the things that God actually wants you to be busy with are left undone. If we get caught up in the busy, even for a noble cause, and we don’t spend time in prayer we will have no idea if what we are so busy doing lines up with God’s will for our lives. We will simply wind up exhausted, having in our busyness, handed Satan a victory. I was challenged today to take an inventory of what was usurping my attention, my energy, my time to pray. I would challenge you to do the same. What, or who, will you fix your eyes on this week? Father, forgive me for letting my days run my life. I never want to be too busy for You. 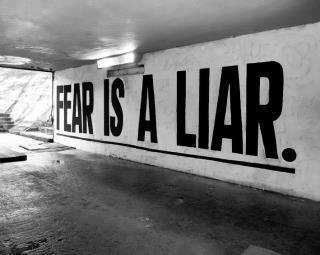 Especially when I am claiming to do things in your name. Please open my eyes this week Lord to what is important, and to what is simply clammoring for my attention. I want all that I say and do to be pleasing to you. In your holy name, amen. You are faithful, God You are faithful. I have had this bit of song stuck in my head since I got up this morning. It is from the chorus of “Never Once” by Matt Redman. Our God is so, so faithful and this song paints that in a beautiful way. Picture this for me if you would. A soldier, kneeling in the middle of a battlefield. There are casualties around him and the battle rages. Yet, he kneels. It makes no sense. He doesn’t fight, he doesn’t flinch. He simply kneels. That is exactly the way we are called to do battle, on our knees before the throne of God. Prayer is not just for the little old ladies of the church. (Although if you could see them the way the angels do they may look more like a spiritual linebacker than the head of the quilting bee.) The term prayer warrior was coined for a reason. 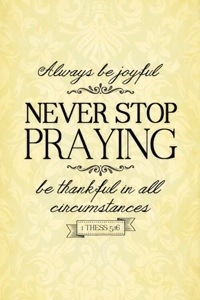 Prayer is powerful! God is, through your prayers, providing you with His power. This is the power that through prayer has parted the sea, tumbled the walls of Jericho, shut the lions mouths, silenced the storm, made the blind to see, made the lame to walk, and raised the dead! Think about that for just a moment. When we pray we are engaging God in our battle. Do you want your battling to be in vain? As long as we stay on our knees God will be battling right alongside of us, providing unlimited access to the power that He is longing to provide. 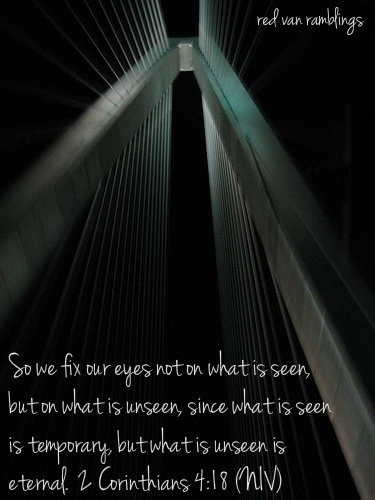 Look at the above verses again. The battle is not yours! The Lord himself will fight for you! If God is for you, who can be against you? How do you get that kind of power? That assurance? Humble yourself before The Lord in prayer. There it is, faithful even through scars and struggles. Faithful to answer. Faithful to those who seek Him in obedience. Faithful to be forever by our side. God doesn’t promise an easy path. What he does promise is to never leave us to do the battling alone. So many Christians want to live victoriously without having to go through the battle. My question in response is if you aren’t battling what are you claiming victory over? Are you ready to see what miracle God may have in store for you? Are you prepared to see what He could do through you if you humble yourself before Him? Maybe it’s time to stop battling and start kneeling. Have you ever had one of those days when you feel like everything is a fight? Nothing comes easily. You find yourself trudging along waiting for the minutes to pass so you can escape to a slumber that you only hope will eventually come? But the battle rages on and you find yourself in a minefield, exhausted, dodging explosions and putting out fires. What do you do? Where can you turn? Where is God? And WHY does He seem silent? I admit I don’t have all of the answers for you but God has whispered this message to my soul as I have pleaded those same questions. There is a saying that goes like this. “When you are going through something hard and wonder where God is, remember the teacher is always quiet during a test.” I don’t believe that. God is never silent if we are searching for Him, seeking His will. He isn’t going to leave us hanging out to dry, left to figure things out on our own. 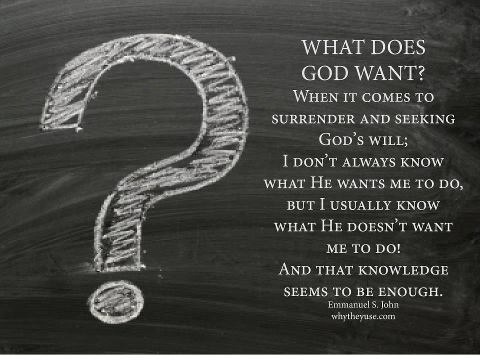 But He isn’t going to give us the answers that we want if it isn’t His will for us. He isn’t going to just placate us to keep us happy. In our limited capabilities, we discern this as silence and in our humanity we don’t like being told “No.” On these days, we need to examine if we are actually fighting a battle with the will of God; if we are exhausted from trying to push our own agenda in our own power; and if God seems silent, is it because we don’t like what He’s saying and we have stopped listening? We are told to pray boldly for things. We can ask God for anything! His main objective though, is not our happiness but instead, shaping Christ-like character in us. So while we pray boldly, let us also pray, Lord, if this is not your will please change my heart. Align my wants with your plan. Lay down whatever it is you are fighting for at Jesus’ feet, through prayer. Confess to Him your hurt, disappointment, your anger and frustration at Him for not doing what you thought He should do, not showing up when you thought He should have come. You will find the battle dissolving and the pathway smoothing. Finally, I leave you with this thought today, “For thine is the kingdom and the power and the glory forever. Amen.” (Matthew 6:13, emphasis mine) Who’s kingdom? Not mine but thine. 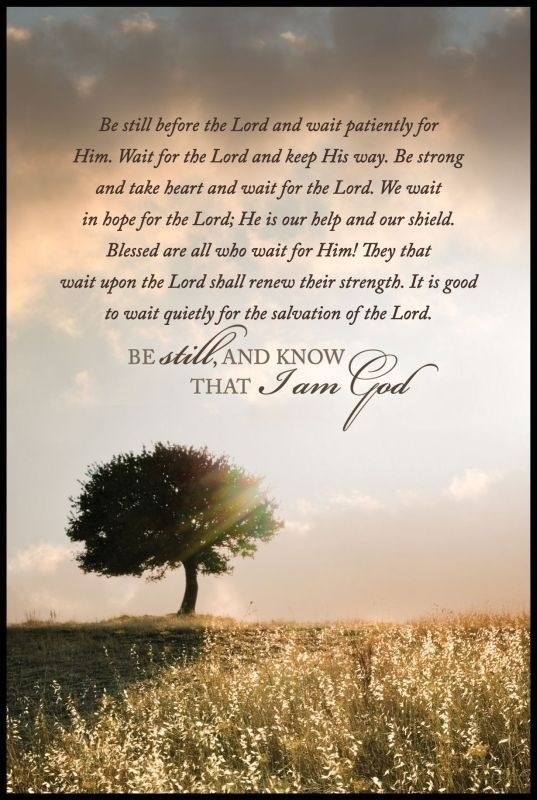 P.S – You may be saying, I have prayed faithfully for this, I have listened, and I believe that I am walking in the will of God and yet I am STILL battling. There is another kind of battle that can rage, and that what happens when Satan gets involved in trying to thwart a blessing. You can read about that type of battle in an earlier post by clicking here.